Picturesque 1 1/2-story Queen Anne cottage with a pyramidal roof, a central chimney, a front gabled wing, a front hipped donner, and a north side gabled bay window. 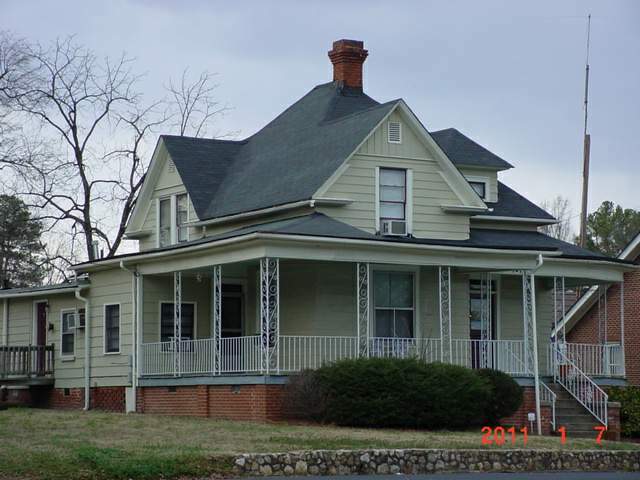 The wraparound porch has a bowed north comer and replacement cast-iron posts and railing. The glazed and paneled front door has a transom. The 1/1 sash windows appear to be replacements. Alterations include aluminum siding and small rear frame additions. D. Samuel Miller, who operated the D. Saml. Miller & Sons Grocery at 1424 Watts St., was the occupant in 1930. This is now divided into 4 apartments.